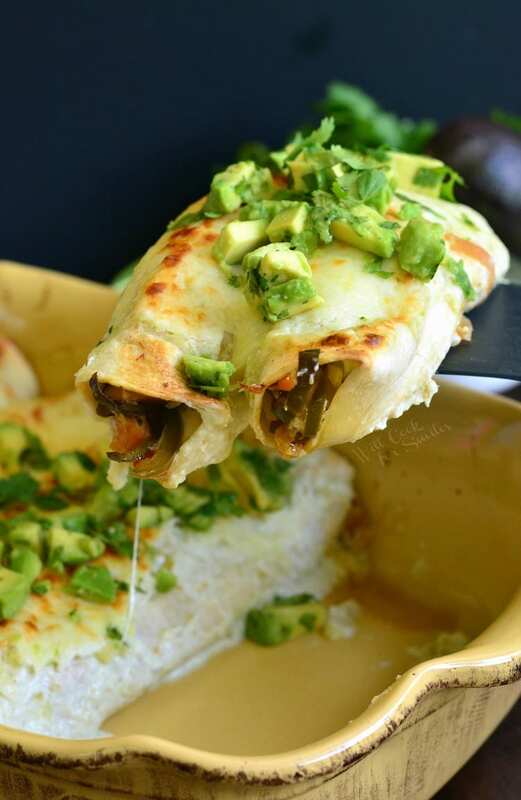 Creamy, cheesy, spicy enchiladas loaded with veggies, cheese, and sauce. 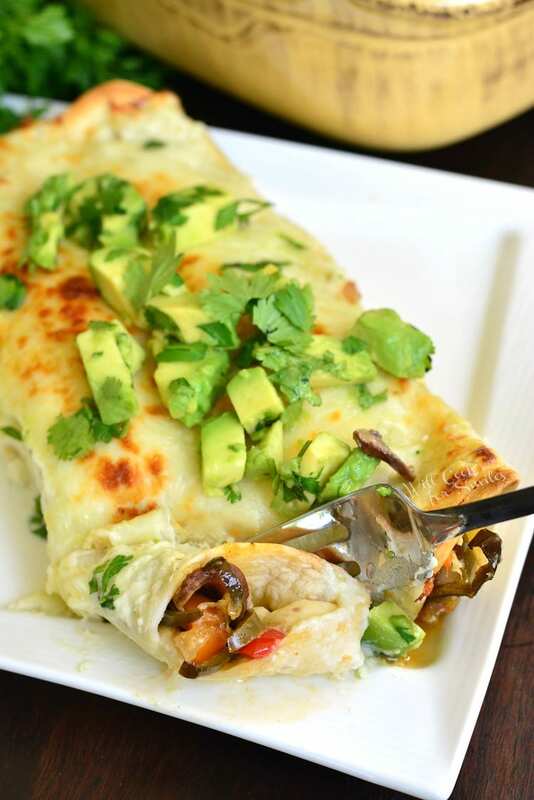 These delicious vegetable enchiladas are made with mojo marinade and packed into tortillas with lot’s of Monterrey Jack cheese. 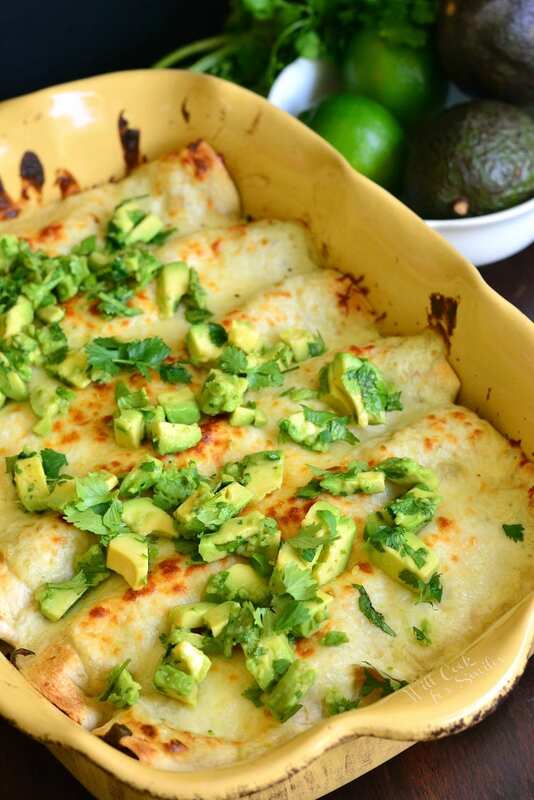 The enchiladas are topped with creamy salsa verde sauce and more cheese. It’s been a while since I’ve made some enchiladas. I don’t know what I’m waiting for because enchiladas are ALWAYS so popular with my family. 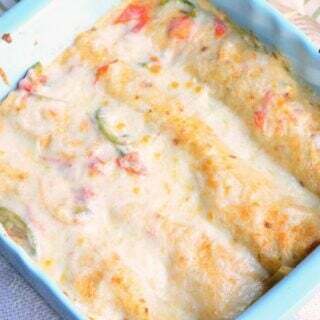 Not a surprising fact that everyone loves them be cause how do you not love cheesy, saucy, warm enchiladas wrapped in a soft, sauce soaked tortilla. I’m drooping just thinking of it and it thinking about it get’s that reaction, just imagine what happens when you pull it out of the oven and the scent hits your nose. It’s heavenly! In my book, even tacos, burritos, or chimichangas don’t come close to the deliciousness that enchiladas are. I think it’s the “baked in sauce” part that bring all ingredients together in one bite and soaks through the tortilla and the filling. That is what makes enchiladas my favorite Mexican-style dish. 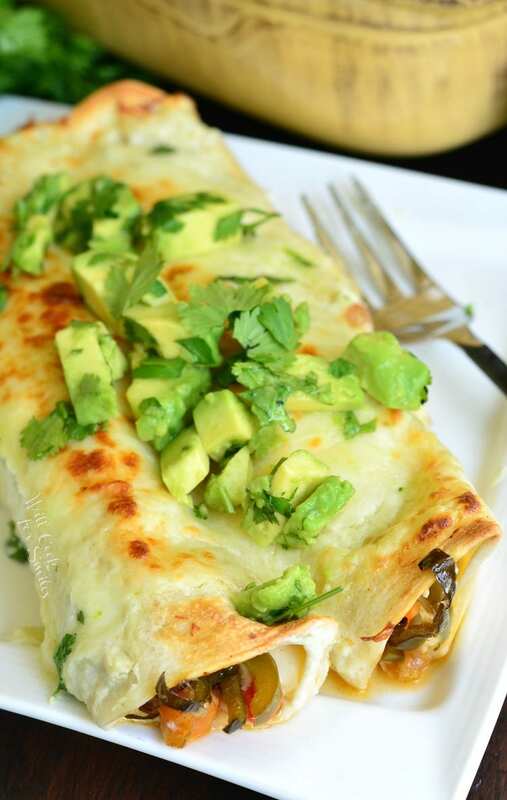 These cheesy vegetable enchiladas are no exception to line of delicious enchiladas that I have in my repertoire. 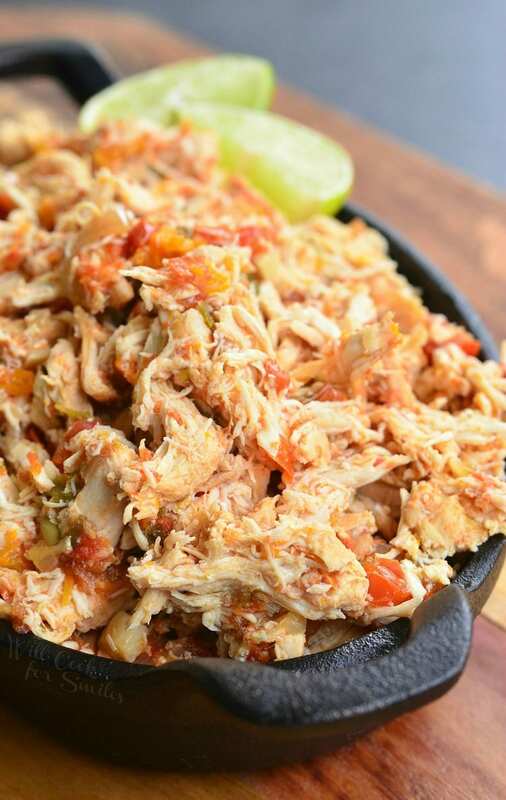 Do you have a favorite Mexican dinner dish? 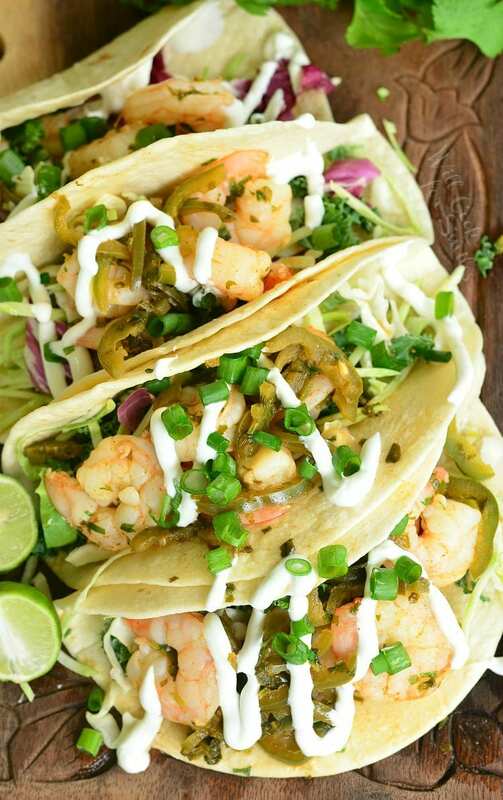 I bet tacos will be number one for most people. That would actually be an interesting survey to conduct. I might just have to ask my Facebook followers and see what are their favorite Tex-Mex dishes. I’m going to make an educated guess and say that top three would be Tacos, Burritos, and Quesadillas. 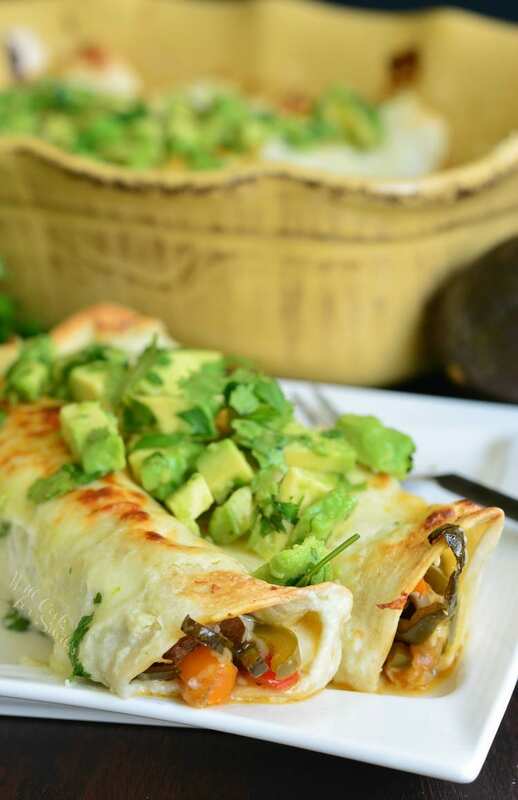 These delicious vegetable enchiladas are made with mojo marinade and packed into tortillas with lot’s of Monterrey Jack cheese. 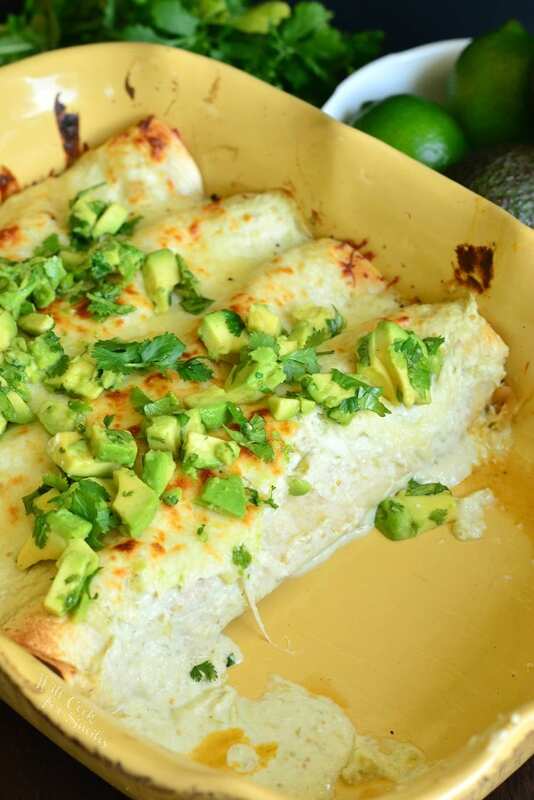 The enchiladas are topped with creamy salsa verde sauce and more cheese. Slice peppers, onion, and mushrooms thinly. (Take out the seeds from all the peppers.) Add them into a large mixing bowl. Whisk together ingredients for the marinade and pour marinade over veggies. Mix well and let them stand for 15-20 minutes. Preheat a large cooking pan over medium heat and add a little bit of oil. Take the veggies out of the bowl but save most of the marinade for later. 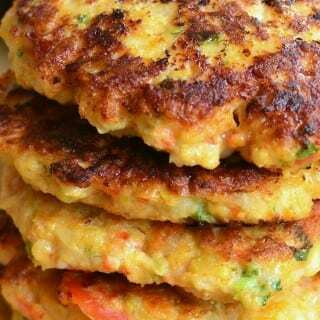 Cook veggie, stirring often, until softened. Raise the heat to medium-high and add marinade to the veggies. Cook for 5-7 more minutes, stirring often, and take off heat. Heat up a sauce pot over medium heat. Add salsa verde to the pot and bring it to simmer. 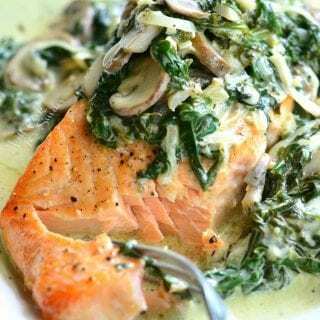 Let it simmer for a couple of minutes and whisk in sour cream and heavy whipping cream. Let the mixture heat through and add grated cheese, salt, and chili powder. Stir until cheese is melted and sauce is smooth. Take off heat. Grate Monterrey Jack cheese and set side. Lightly grease a 9x13 baking dish and spread a little bit of sauce over the bottom. 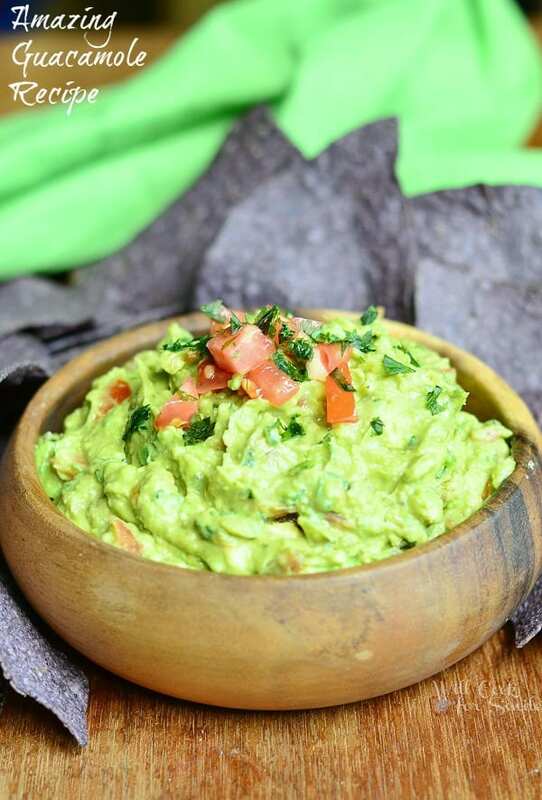 Spread some cheese along the center of the tortilla. Scoop some vegetable mixture (with a slotted spoon) over the cheese. Roll tortilla and place it in the baking dish, seam down. Repeat with remaining tortillas, vegetables, and most of the cheese. Leave some cheese for topping. Pour remaining sauce all over enchiladas and sprinkle remaining Monterrey Jack cheese on top. 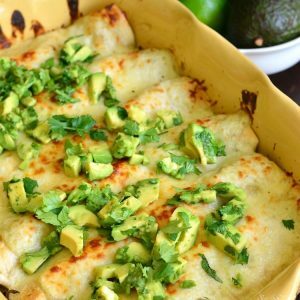 I could eat enchiladas every single day!! There are so many ways to make them and yours, Lyuba, looks amazing. 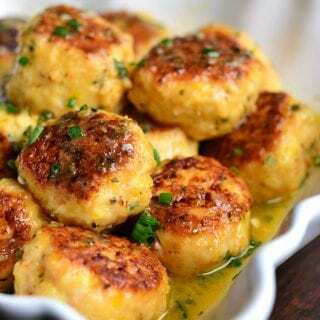 This is such a great way to get in a meatless meal. I certainly don’t think you’d miss the meat with all the other flavors that are going on. Great photos!! Have a Happy Sunday! Made these tonight. They were awesome, so full of flavor. I omitted the mushrooms and added corn and black beans. 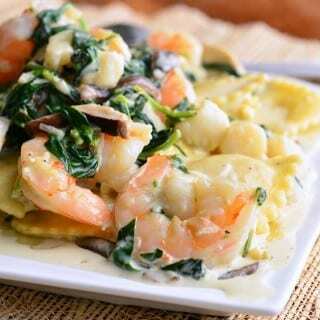 Don’t be afraid to add any veggies you love! These are yummyful! Made them tonight minus mushrooms (still trying to get the 22 year old child to try them) and we both loved the recipe. 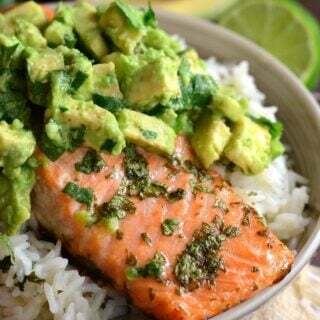 It’s so flavorful. lookingfor a good vegiterian enchalada. Thanks for this recipe! We’ve made it multiple times and it always hits the spot.